A popular day trip from Islay is a visit to Colonsay and there in particular if the tide is right the walk across the Strand to Oronsay. 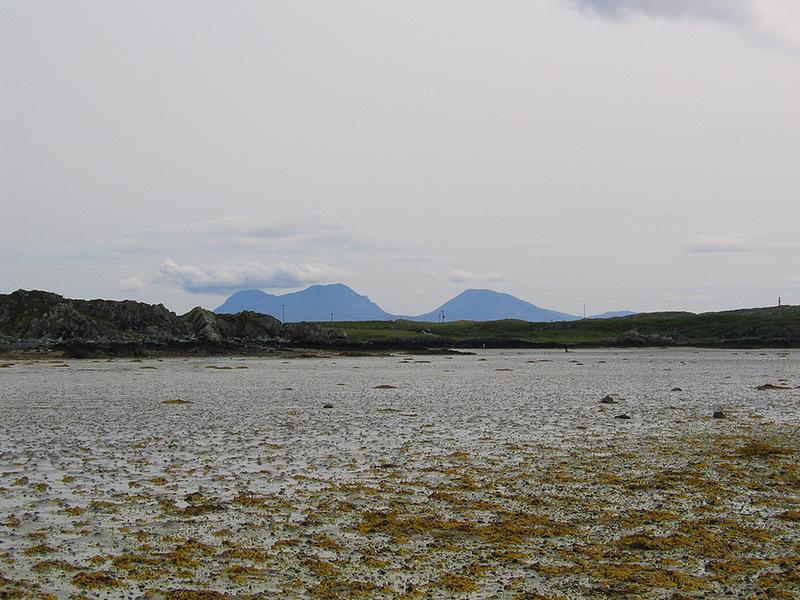 This view is from about half way across the Strand, looking east with the Paps of Jura in the distance. This entry was posted in Beaches, Cloudy Weather, Colonsay Excursion, Landscape, New Post and tagged Colonsay, Jura, Oronsay, Paps of Jura, The Strand by Armin Grewe. Bookmark the permalink.